The front porch is making a comeback. More builders are adding them back into new home designs too. The front porch was once a mainstay in home designs in the early 1900s. But over the years it has gotten swapped out for those street-facing garages. Also, homeowners sought more privacy and started favoring decks in their backyards than expansive front porches facing their neighbors. 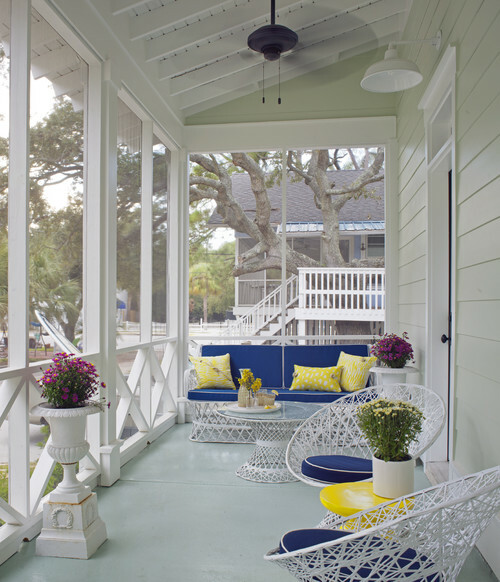 Now, we’re seeing those iconic front porches coming back. And the younger generation is bringing a different spin to this idea of “porching.” There’s this growing movement called “Porchfest.” This is where neighborhoods across the country are holding events, like music festivals or even a speaker series, right from homeowners’ front porches. 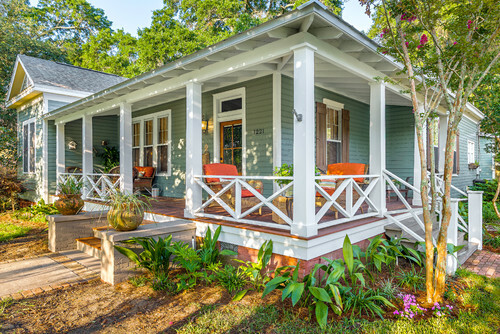 So if the listing you’re staging has a front porch, make sure to take advantage. 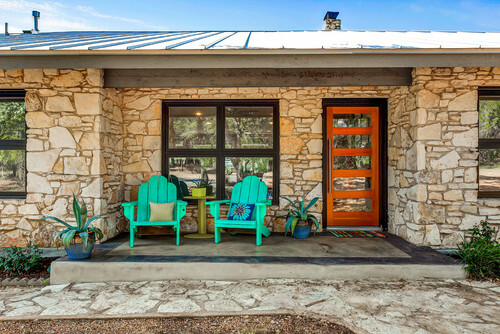 Add some rocking chairs, a porch swing, or outdoor furniture–complete with cushions and pillows–to show it off as a place to sip lemonade, relax, and mingle with neighbors on a warm summer day. 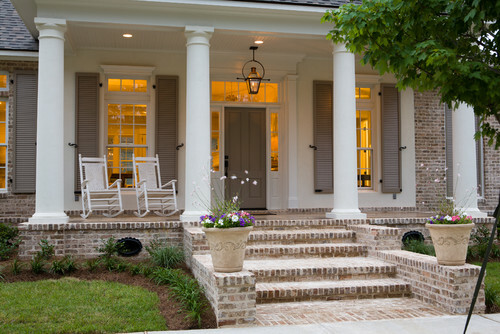 Look at how some of these designers on Houzz used the front porch to boost a home’s curb appeal.